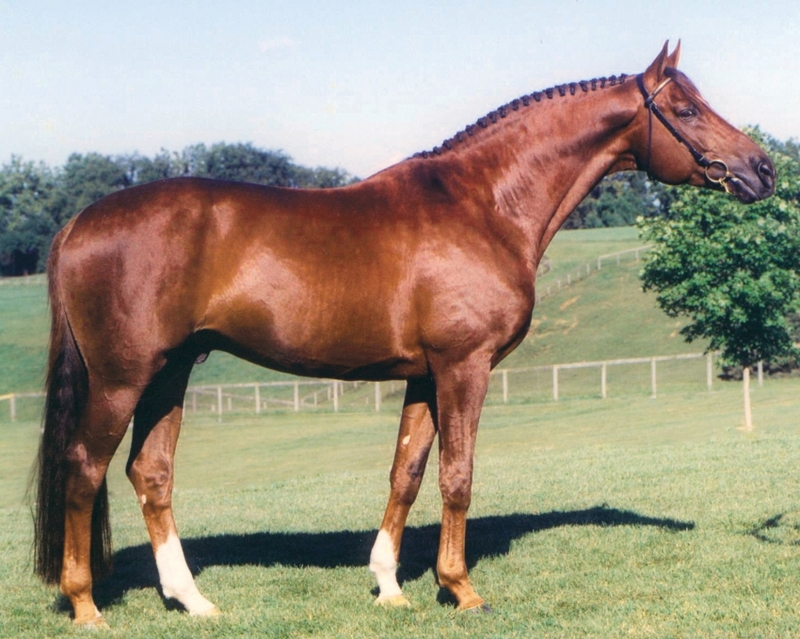 Contucci's impact remains significant for North American breeding programs. 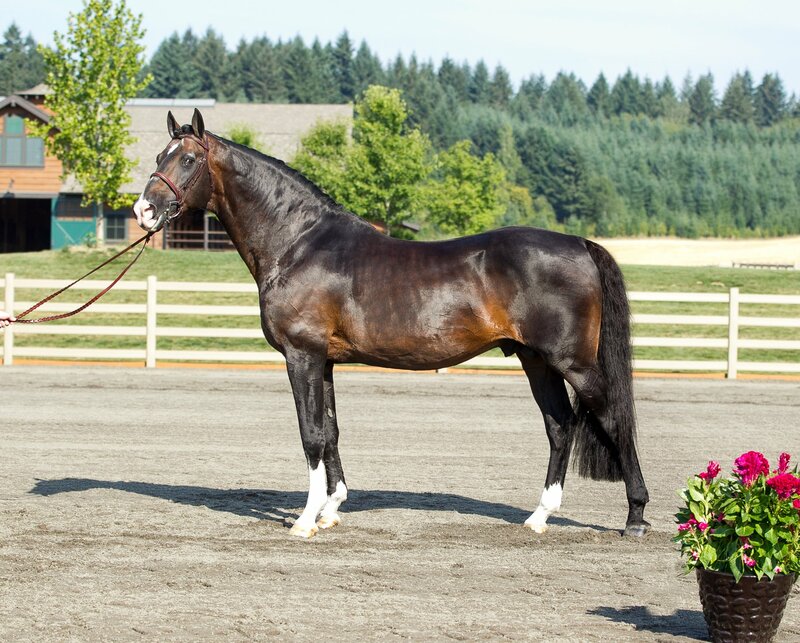 His positive influence on conformation, movement, and character is undeniably proven. 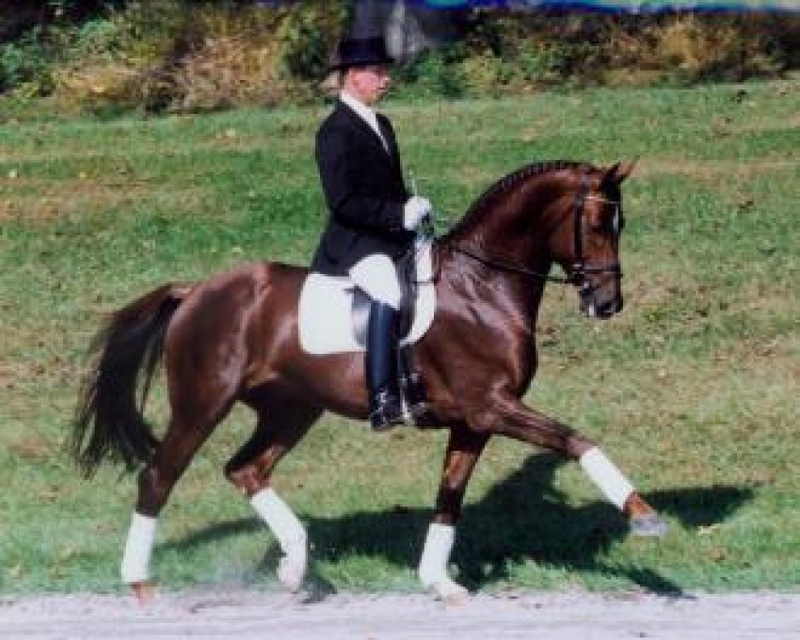 Contucci has previously been named the USEF Dressage Breeding Sire of the Year, the USEF Dressage Sire of the Year, and is consistently listed in the Top 10 of the USEF Sire Rankings. 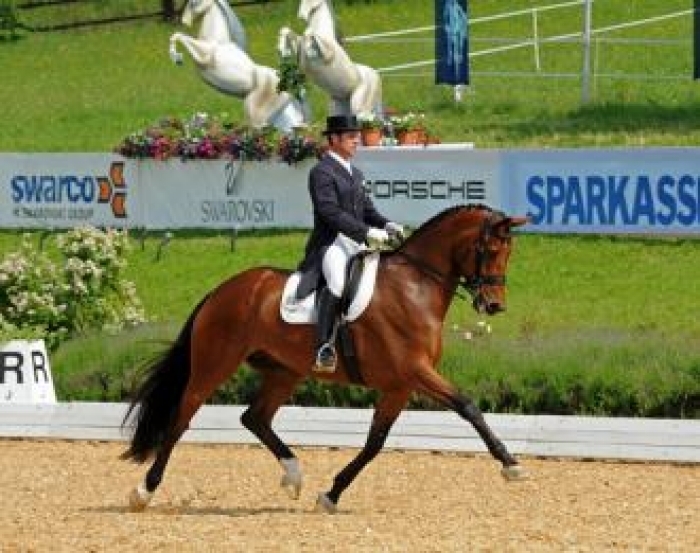 From breed shows in-hand through the Grand Prix level, Contucci proves time and again his ability to sire dressage champions. 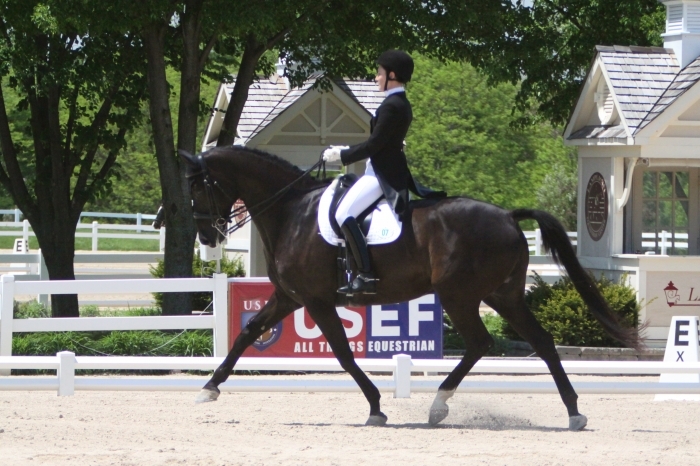 Contucci won the dressage portion of his 100-Day Test with an impressive 147.11 points, earning 9’s on his character, willingness, rideability, trot, and canter. 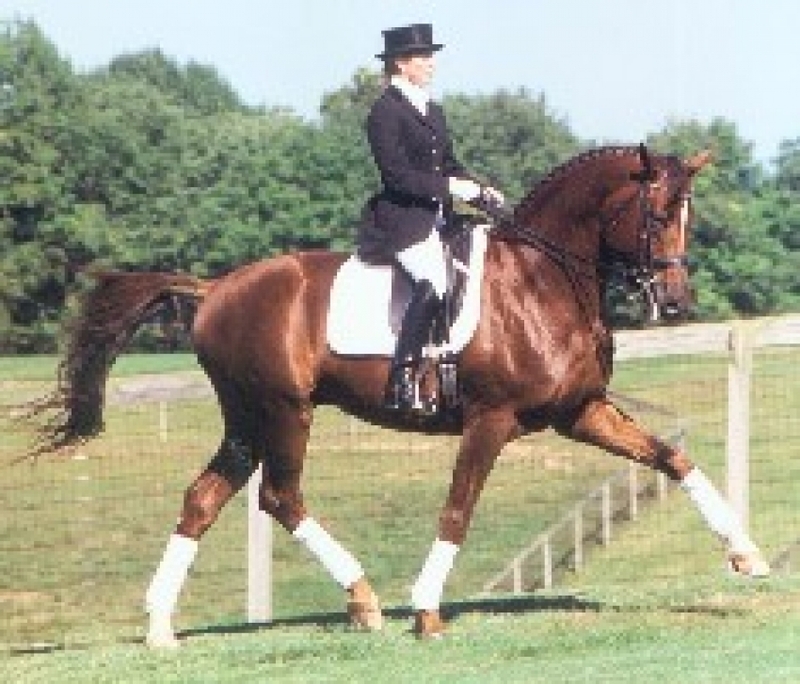 Sire Caprimond was a successful Grand Prix competitor and was the 1998 Trakehner Stallion of the Year. 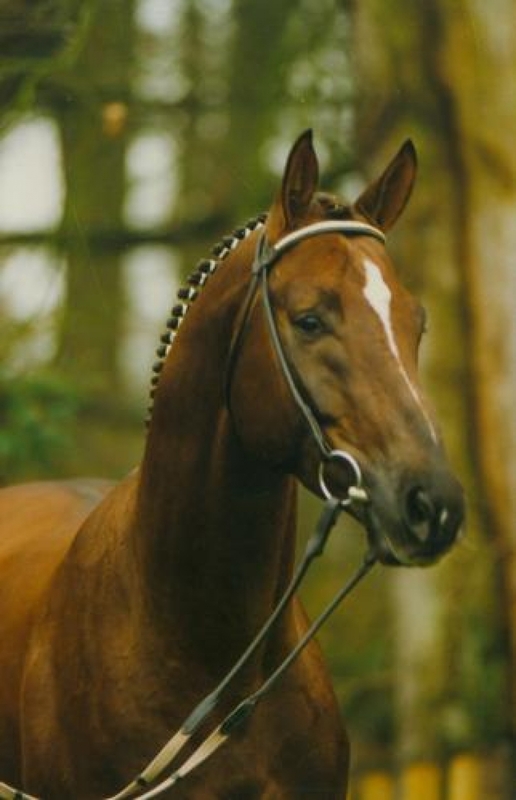 Contucci’s dam, Laureen, received 9’s on all her gaits at her MPT. 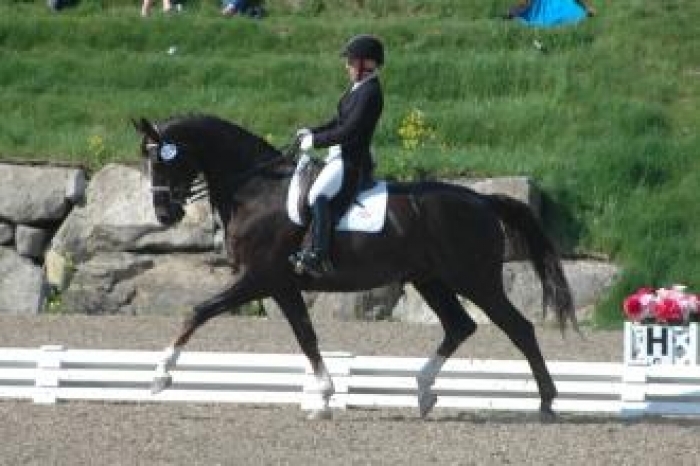 The Caprimond-Laureen combination was successfully repeated 5-times with excellent results, including the FEI mare Capricia. 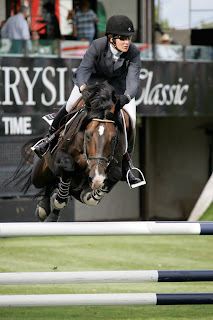 Contucci’s grandsire, Lungau, is also the damsire of the Olympic and World Cup Champion Salinero. 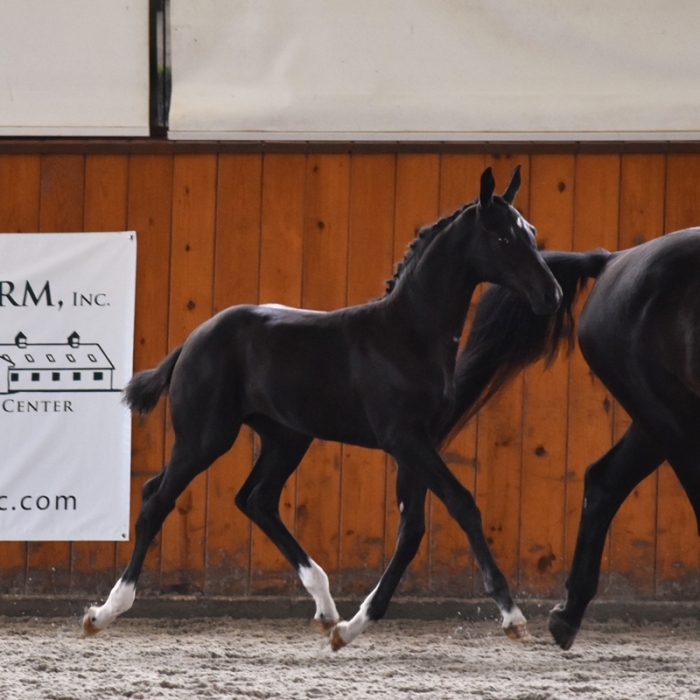 Dressage breeders looking to improve the head and neck, emphasize freedom in the shoulder, and provide a modern type without sacrificing bone will want to especially consider Contucci for their breeding plans. I am interested in learning more about Contucci.